Whether you are drawing plans for new roofs, fixing an old roof, maintaining the roof of a commercial facility, or responsible for construction of all the new buildings for the local school district, you want a roofing contractor who will do the job right the first time. You want a roofing contractor who has expert knowledge of his trade and can bring the latest technology and most effective roofing techniques to bear for your job. You need to specify that you want a RCAT LICENSED ROOFING CONTRACTOR for the job. The Roofing Contractors Association of Texas requires that roofing contractors go through a rigorous screening process before they can become licensed. RCAT takes the pressure off of you and takes on the responsibility of declaring that a contractor has met the standards of a true professional roofing contractor. Both commercial and residential roofing contractors, those with large or small businesses, can become licensed. Their company managers and estimators can also become licensed. 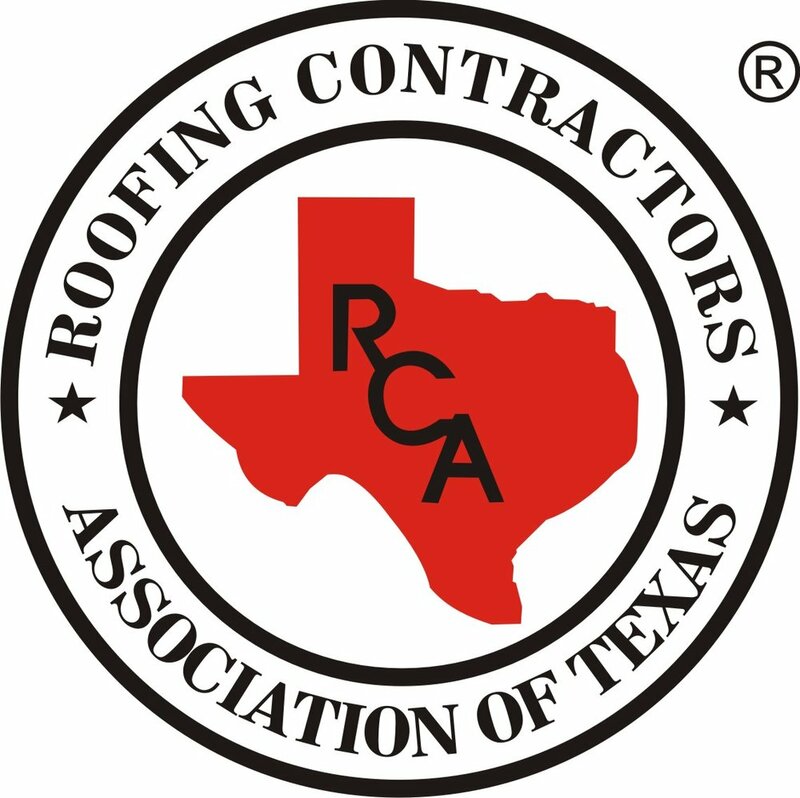 The principal goal of this voluntary licensing process is to increase professionalism and consumer confidence in the roofing industry, as well as to assure owners, architects, consultants, developers and general contractors that a RCAT Licensed Roofing Contractor is experienced, reliable and knowledgeable. IT'S THE SMART, PROFESSIONAL WAY TO GO! Submit proof of financial responsibility, including insurance or bonding, workers compensation and a completed applicant statement. After a thorough background check, the individual must pass a basic business and safety knowledge exam plus a residential and/or commercial roofing exam. The license is valid for one year and is renewable at that time by showing proof of having earned continuing education credits and by showing evidence of consistent adherence to the original guidelines required for licensing. Licensing is available for both residential and commercial roofing contractors and is open to all roofing contractors in Texas who meet the qualifications. Company managers employed by those licensed contractors can also become licensed, with similar requirements.